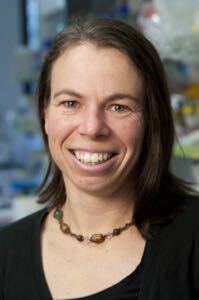 Jan Strugnell (Queensland & Merton, 2000) is an evolutionary molecular biologist and an Associate Professor at the Department of Ecology, Environment and Evolution at James Cook University. She is also the head of Molecular Biodiversity Lab, which researches population and species level molecular evolution and Antarctic and deep-sea species in the context of past geological and climatic change. She also uses genetic tools to help solve bottlenecks in aquaculture and fisheries industries. She holds a DPhil in Zoology from the University of Oxford, and a BSc Honours from James Cook University. Rhodes Project: How would you describe your time at Oxford? What experiences were significant for you? Jan Strugnell: It’s difficult to know where to start regarding what experiences were significant! I hadn’t been outside of Australia prior to coming to Oxford and so it is fair to say there were many new experiences for me! It was life changing to meet people from such a wide range of countries, with a diversity of interests and learn from their different perspectives and their experiences of the world. Rhodes Project: You are leading the Marine Molecular Biodiversity lab at La Trobe University. How has your academic career unfolded and what drew you to this area of research? Jan Strugnell: Before I went to Oxford I studied aquaculture and fisheries in my undergraduate and honours degrees. My PhD in Oxford was much more focused on basic research (studying evolutionary relationships of octopus and squids). After my PhD I completed 2 postdocs (Queens University Belfast/British Antarctic Survey and Cambridge University) working on evolutionary relationships of Antarctic octopods. Today I am fortunate in that my research leading the Marine Molecular Biodiversity lab allows me to study aspects of all of these areas – fisheries, aquaculture, evolution in Antarctica and a range of aspects of octopus biology including understanding their toxicity. You could say that my research agenda is quite broad! Rhodes Project: What do you find most fulfilling about your work? What motivates you and inspires at this point in your career? Jan Strugnell: I find it fulfilling to research and discover new things! This include discovering things that are important for better management of our fisheries and aquaculture industries or to learn more about how climate has influenced species in the past. I’m also motivated strongly by helping others, including members of my research group reach their goals. Rhodes Project: You are currently organizing a ‘Wikibomb’ event to celebrate female Antarctic researchers and raise the profile of women in this field. How did this event come about and what does it seek to accomplish? Jan Strugnell: The purpose of the Wikibomb is to increase the visibility of leading and influential Antarctic researchers to provide role models for younger female researchers and to stimulate girls around the world to pursue science careers. The event came about as I realized from attending Antarctic conferences that more than 50% of young polar researchers are women, yet senior and mid career role models were not as visible for young women as they should be. Today women are playing influential roles in Antarctic Research (e.g. the head of the British Antarctic Survey and the Alfred Wegener Institute are both women) and I thought that a wikibomb would be a great way to celebrate Antarctic female researchers and raise their profile also. Jan Strugnell: My parents have been great personal role models in that they taught me to treat everybody equally and to give everyone the same level of respect. I really value that lesson. Professionally I have had been fortunate to have a great role model recently in Jenny M. Graves who has given great advice on the importance of being persistent and adaptable in research. I’ve really learned a lot along the years from my peer group about the importance of professionalism, sticking to your principles and the benefits of peer support for talking through difficult problems. Rhodes Project: Reflecting back on your experiences, what advice would you give to women who are in the early stages of their academic or scientific careers? Jan Strugnell: Advice for young women would be believe in yourself, be persistent, work hard but make sure you have hobbies or pursuits outside of science also as you need it to recharge your batteries! When I was at Oxford I played cricket, rugby (and even Australian Rules Football) – it was a great break from study.